What goes on behind the scenes of a company, particularly when it comes to sourcing and production methods, is increasingly important with the consumers informed ethical-skeptic eye on the prowl. For the little-turned-huge environmentally friendly cleaning product company, Ecover, taking a ‘no-excuses' approach to working a sustainable business is a necessity. 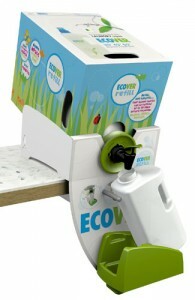 The Ecover brand is built on a reputation of, if anything, being environmentally responsible. In 1980 Frans Bogaert set out to create a washing powder that worked well but didn't contain chemical phosphates for the simple reason - they are bad for nature. He succeeded and as the product range widened so did the amount of people using it. The Ecover Factory in Malle, Belgium and was built using recyclable materials or those that respect the environment. Electricity to run the factory comes from a green supplier and it is designed to let in as much natural daylight as possible. It also has its own water purification system. 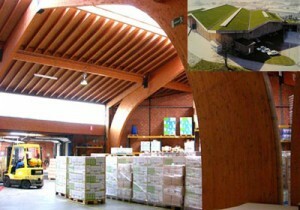 In 2007 Ecover opened a second eco-factory in France. This ‘green' roof with its layer of flowering plants atop it provides thermal and acoustic insulation and also runs on green energy. Ecover continues to expand its reach to provide great cleaning products with ingredients made from renewable plant extracts or sustainable materials. The new factory in France means less distance travelled to supply the growing UK market - that means less carbon emissions in each bottle of your favourite little clean green helpers! Ecover have also just launched a new 5L laundry liquid box so we can now have our very own home refill service.